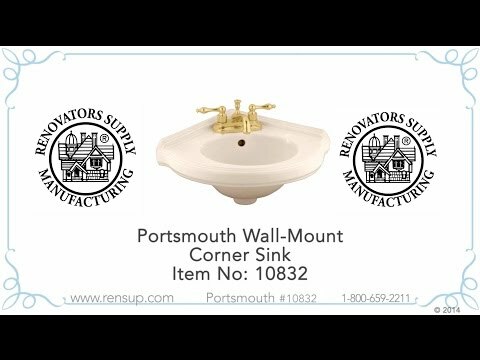 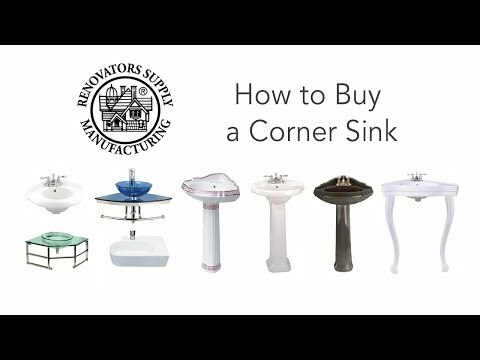 This corner wall mount bathroom sink from Renovator’s Supply is the perfect way to add an elegant touch to your bathroom without losing space. 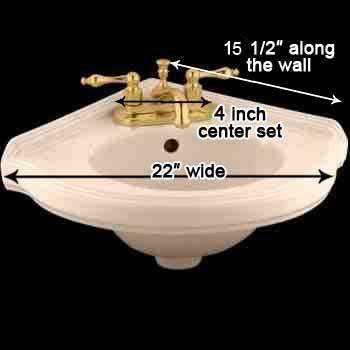 - OVERALL: 7” Tall x 22” Wide x 20” Proj. 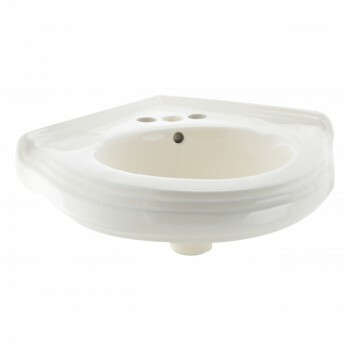 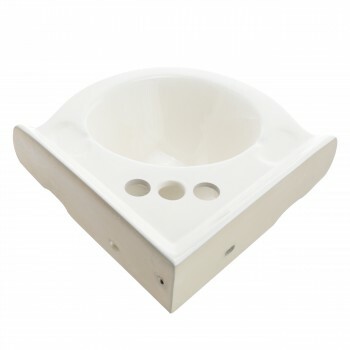 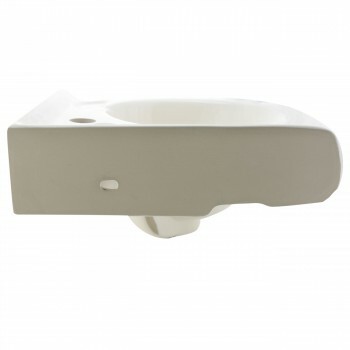 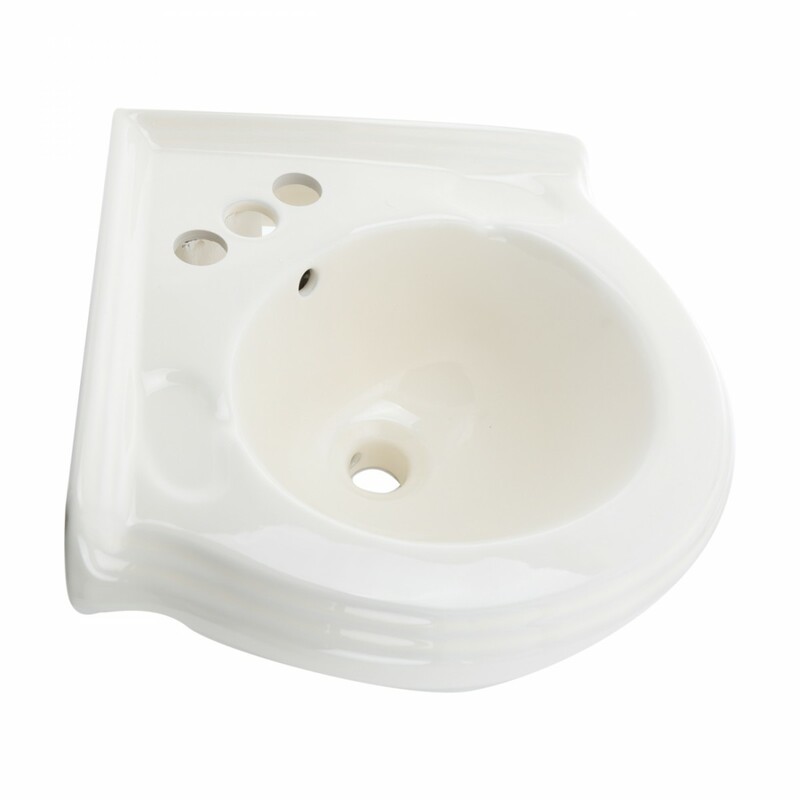 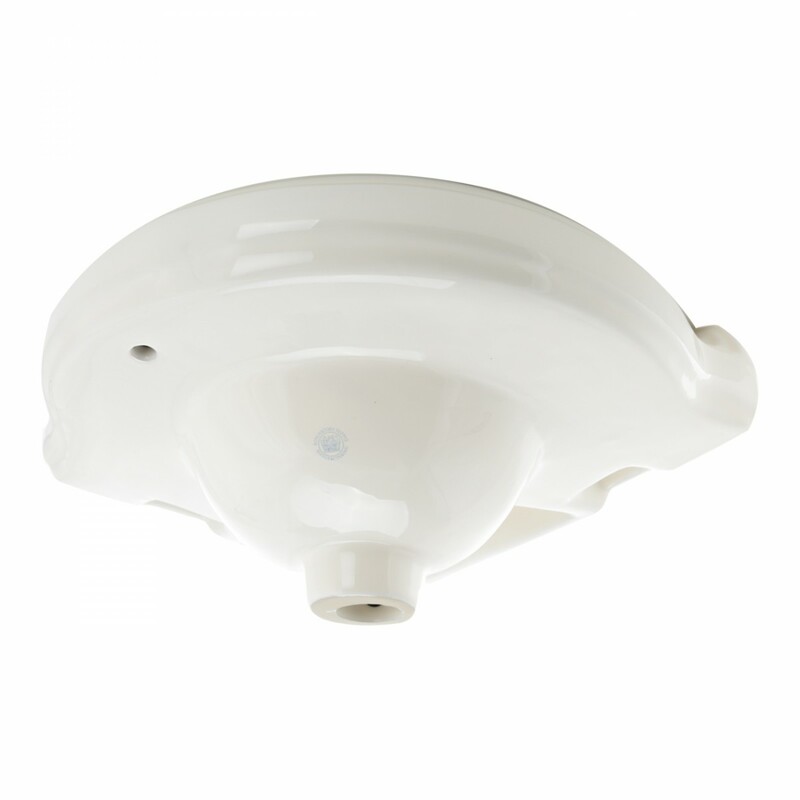 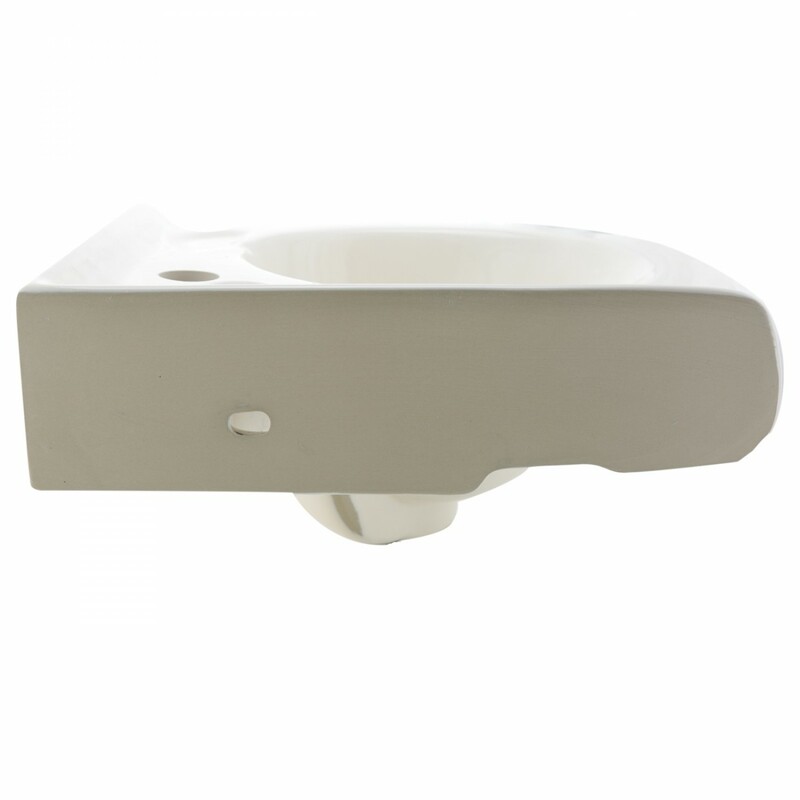 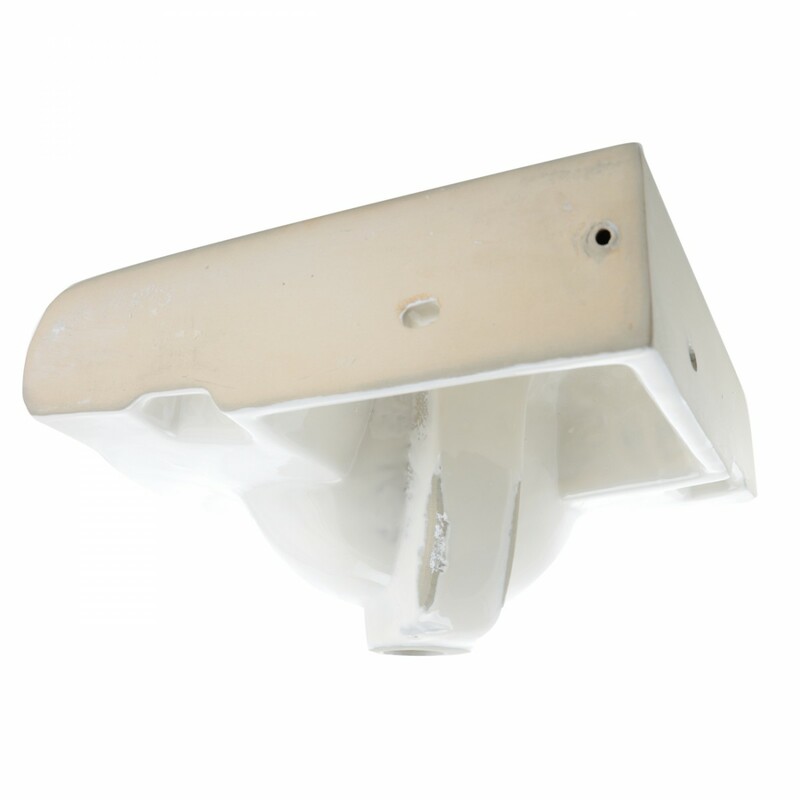 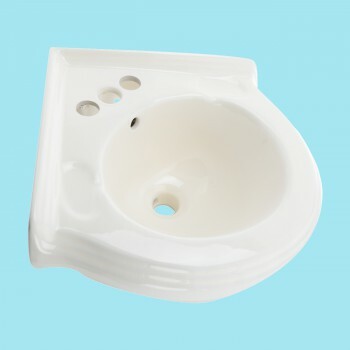 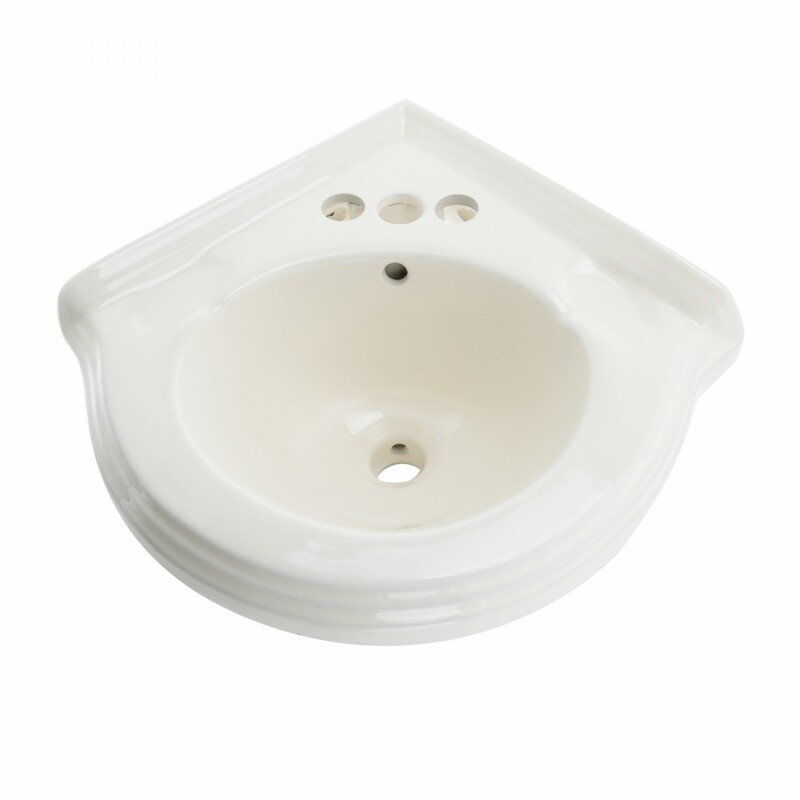 - BASIN: 6-1/8” Deep x 11-1/2” Wide x 11” Proj.